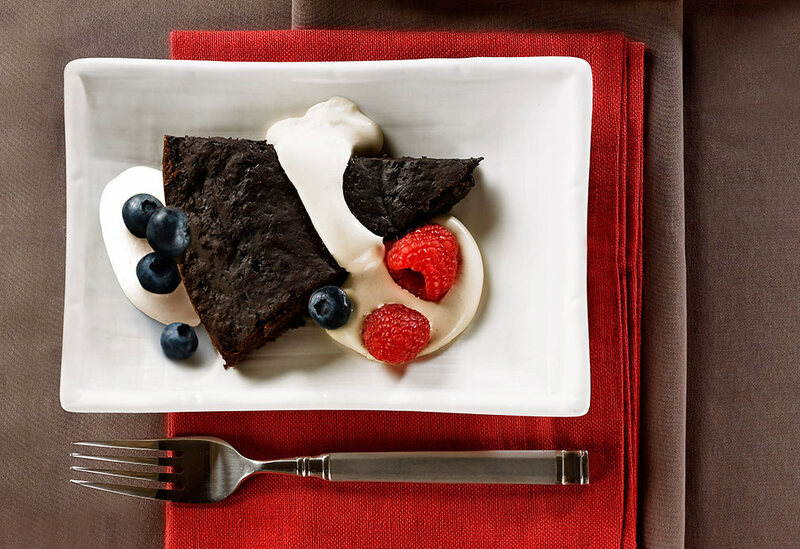 Dense wedges of chewy chocolate are paired with a sweet coffee-flavored cream and fresh berries. See the recipe video below. 1. Preheat oven to 325 °F (160 °C). Coat a 9 inch (23 cm), nonstick spring form pan or cake pan with canola oil cooking spray. 2. 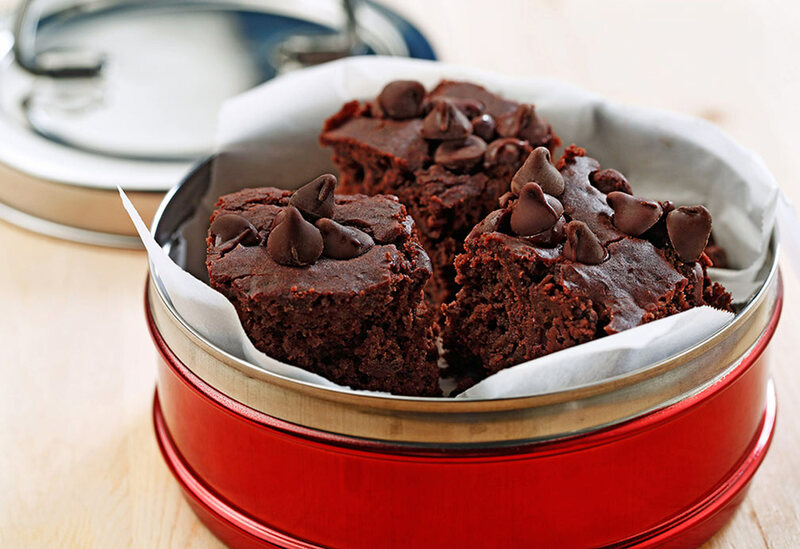 Combine flours, cocoa, baking powder, 1 Tbsp (15 mL) coffee granules, and salt in a medium bowl. 3. Combine sugar, canola oil, egg substitute, and vanilla in another medium bowl; mix well. Add sugar mixture to flour mixture, and stir until just blended. Batter will be very thick. Spoon into the bottom of the pan; spread evenly by coating the back of a spoon with cooking spray. Bake for 11 minutes or until slightly puffed. (Mixture will not be completely cooked at this point, but it will continue to cook while standing without overcooking and drying out.) Place the pan on a wire rack, and let cool for 5 minutes. Remove the sides of the pan, and gently remove from bottom or leave on bottom and place on a serving plate. Serve warm or at room temperature. 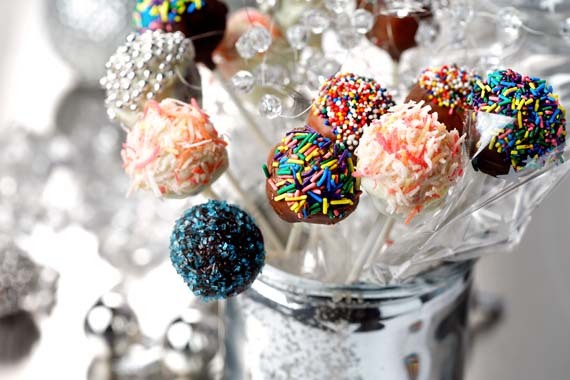 When cooled completely, store in an airtight container at room temperature. 4. To make cream: combine water with 1 tsp (5 mL) instant coffee granules in a medium bowl, and stir until dissolved. Add whipped topping; whisk until a sauce consistency is reached. For thinner sauce, add 1 to 2 Tbsp (15 to 30 mL) water or milk. Refrigerate until needed. To serve, cut into wedges, spoon mocha cream on top, and sprinkle with berries. 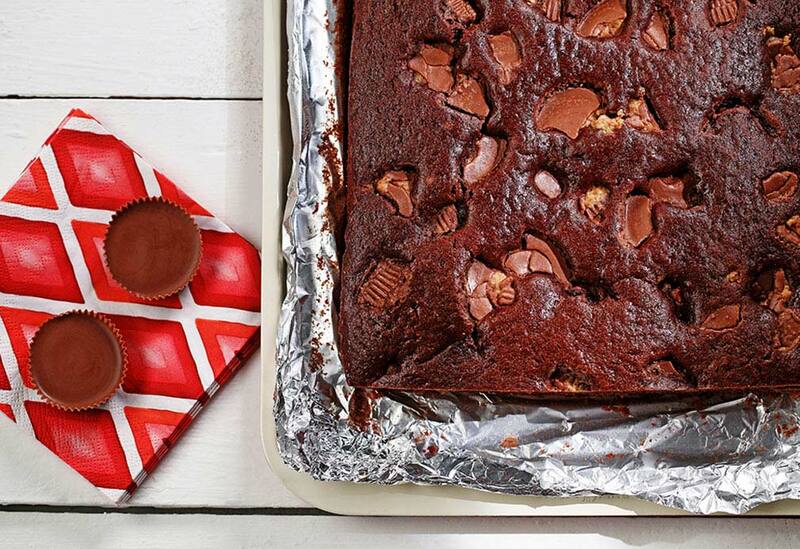 Fresh tip: The canola oil keeps this brownie moist for two days.